Nineteen-year-old Steven Macedo’s new Los Angelos-based vegan business is featured in VegNews Magazine. Despite being busy creating a new business enterprise, he generously agreed to an interview in order to share with aspiring vegan entrepreneurs his experiences and advice on creating a vegan and eco-responsible business wherever you are! Many thanks to Steven and all the vegan teens who submitted their questions for him! How would you describe your new business, Leche? 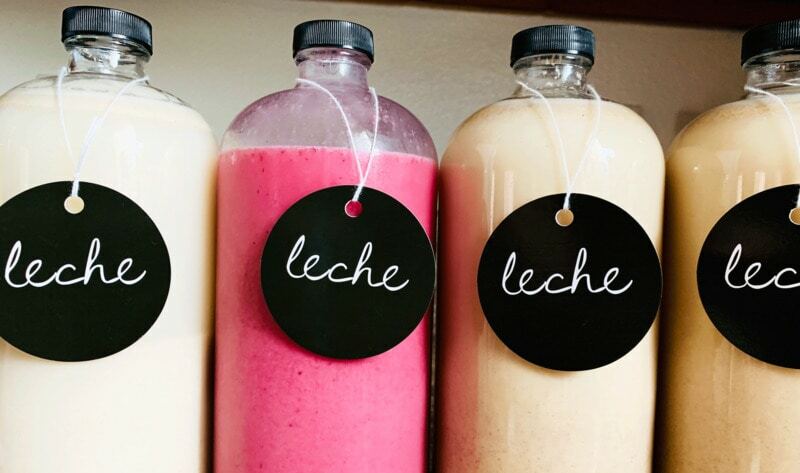 Leche Co. is a Zero Waste Latinx Cold Brew Coffee & Tea company that specializes in handcrafted milk alternatives. “Planet over profits” is our motto. There are a lot of vegan product possibilities. How did you decide what direction to go in? I’ve always dreamt of having my own coffee company. Avoiding dairy just came naturally, as I was raised on homemade milk alternatives. I didn’t really set out to create a vegan company, just an eco-conscious one. The fact that all our products are vegan is a happy accident that came about from me creating only products that don’t harm our planet. At what age did you start planning it, and how old are you now? I joke that I’ve been in planning since I was 8! My mom will tell you that’s when I told her I would open my own coffee company and be bigger than Starbucks! But really my planning began at 17, and I launched it on my 19th birthday. I’ll turn 20 in September. How did you get funding? 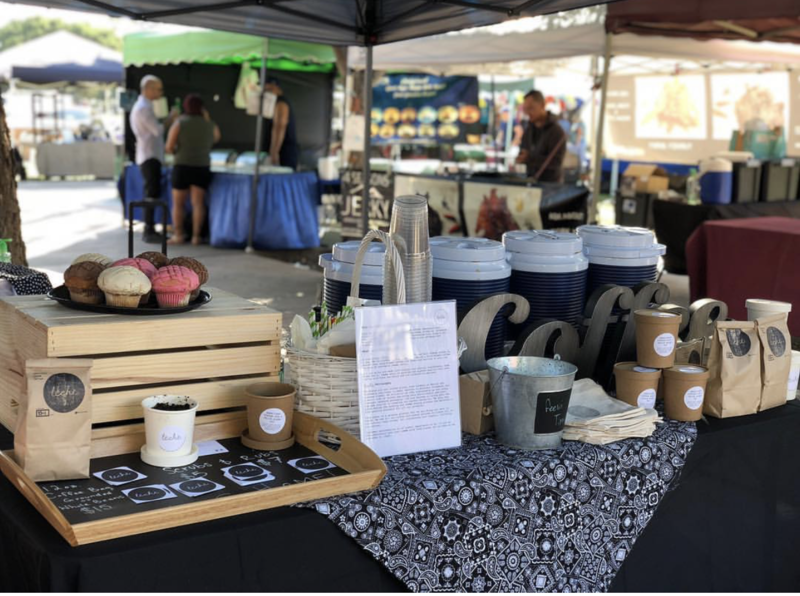 I saved up from my part-time jobs and decided to start small at farmers markets so that I could launch with minimal start up money. I’ve also relied on my personal credit and manage my cash flow responsibly. What if any books would you recommend reading that helped you on this entrepreneurship journey? Honestly, I’m sure there’s tons of books out there that would be helpful for me, but I learned a lot from the exposure I received through music and the artists that I listen to regularly who themselves are entrepreneurs, people like Jayz, Kanye, Pdiddy, Beyoncé, and Missy Elliott. These people knew to believe in themselves and follow their path no matter the obstacles; they knew they had something special and went with it. I feel that we all have something to offer, but the lack in confidence in ourselves is our only real obstacle. I did take some classes at Long Beach City College to get the certifications I needed for a food business. Who, if anyone, served as a mentor to you? How did you find this person? I was super lucky to have a mother who is a self-made business woman and has raised me and my brothers in an environment that exposed us to real-life struggles and success. We were raised to communicate and be heard, to listen and absorb the knowledge and world around us. We’ve all traveled with her on her business trips, and I have always made it a point to watch and learn from her example. 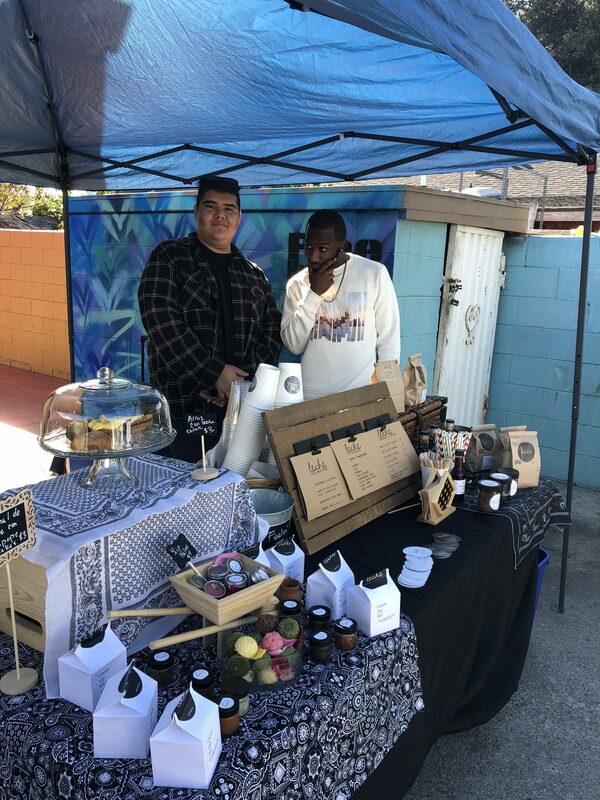 Leche Founder Steven Macedo and his brother Deonta, who’s a chef and helps him at events. Do you know of any resources available in the community to start a business? Yes, there are small business development centers across the United States, as well as Los Angelos (LA) and Orange County, and Google is your best friend when starting out. You have over 40 flavors of nut milks, with names like Mazapan and PB&J. How did you come up with these ideas? All of the milk varieties and names are reminiscent of my childhood, and I also try to keep it fun. 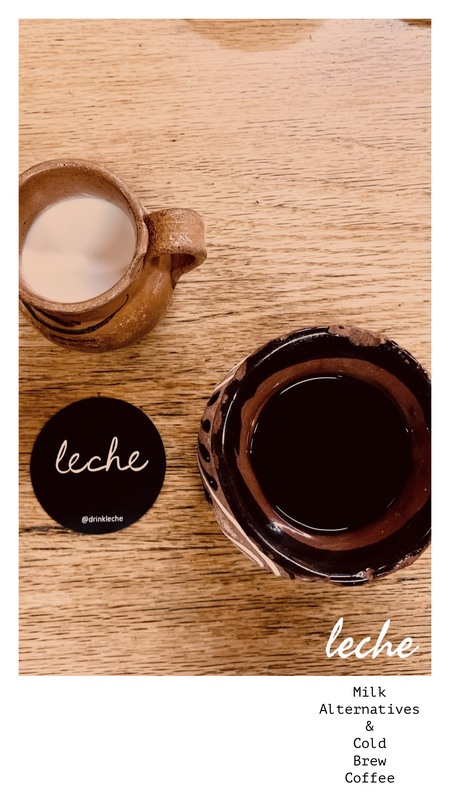 An important aspect in Leche for me was to share the flavors of my Latinx upbringing in a way it hasn’t been done before—to share the familiar and the unexpected! Our culture is vast in flavor, and Mexican-American in LA is in ways it’s own flavor profile. My goal is to reach people who recognize the flavors and also bring something new to those who’ve never been exposed to our culture. You sell more than delicious drinks. Which of your products did you develop as a way to use all the parts of ingredients you used in the process? Where did you get the creativity to think of these? the same flavors and ingredients are used in all the different products. Eventually there will be a Leche, face mask, lip balm and scrub all with the same ingredients. All your products are vegan. Do you live a vegan lifestyle or eat a plant-based diet? 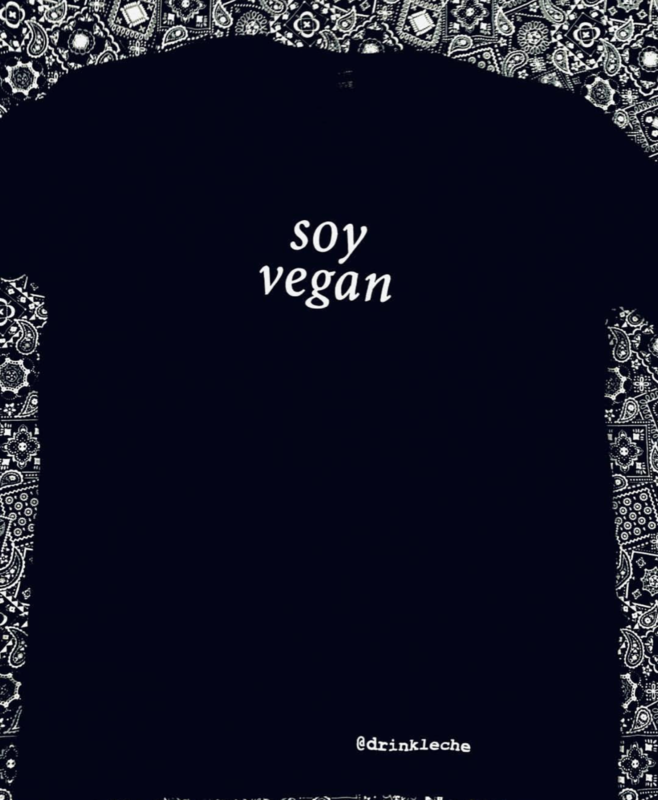 I’m mostly vegetarian; my diet and lifestyle reflect the same values as Leche. I try to consume things that don’t contribute to harming our planet. I don’t live in LA. Can I still purchase your products? Yes, you can order all our non-perishable items online at drinkleche.com; we ship worldwide. The only items we don’t ship outside of SoCal are the leches. 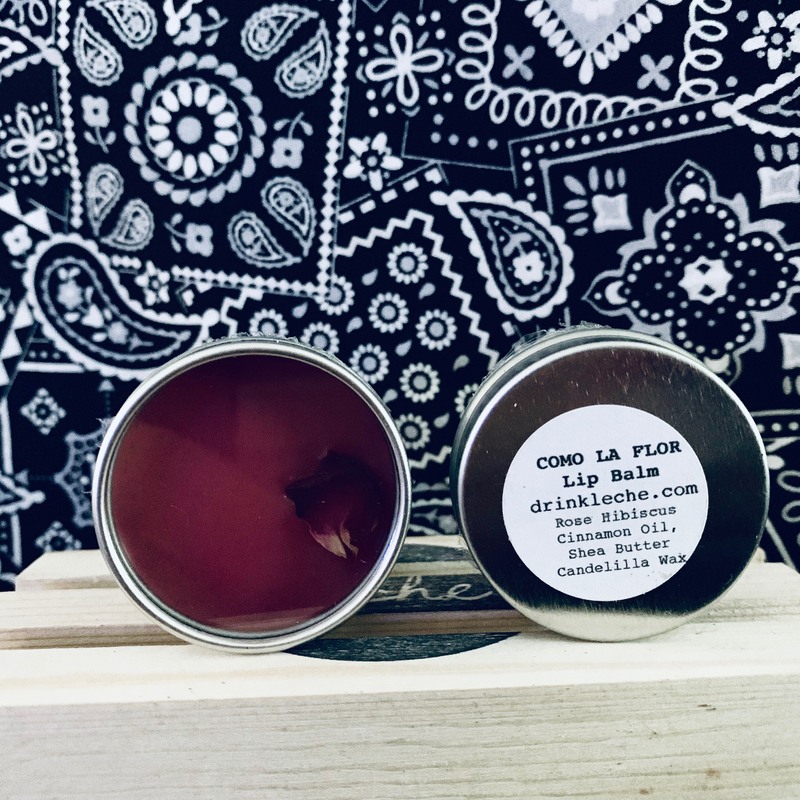 How do you find a location for making your products? Commercial kitchens are fairly easy to find; the issue is finding a convenient location and fair cost. I hope to be able to grow the business quickly so we can get a brick and mortar this year. What advice would you give to teenagers who have a good vegan business idea but don’t know how to take the first steps? The best advice I could give is to make a plan and do your research. Know your product and who you want your customer to be. Next is figuring out the cost to make your products and setting the sales prices. Make a list of what you will need to get started. And don’t be afraid to start small. Whether it’s a local farmers market or selling online through Etsy or other websites. The most important thing I’ve learned is to keep going. Problems will arise, and self doubt often creeps in, but just believe in yourself and keep going. And don’t be afraid to ask for help! I feel silly giving advice when I’m still learning new things everyday, but I do want to share one thing: Don’t compromise your vision. Even if no one thinks your idea is worth anything, stay on it. Sometimes you’re ahead of your time. Stay on it and others will eventually catch up. Again, thanks so much to Steven and everyone who sent me questions to ask him! Follow Leche on Instagram and Twitter.